With his distinctive and widely beloved baritone voice, Chali 2na has established himself not only as one of hip-hop’s preeminent and charismatic personalities, but has also garnered renowned praise as a highly respected artist across a myriad of mediums. Today, he has announced his latest project, Against The Current, a 5 EP installment that will be released throughout 2012. Breathing new life into his musical history, the project’s sound is heavily influenced by his history; from the blues music he was raised on and the hip-hop he produced as a member of Jurassic 5, to the urban-Latin music he created with Ozomatli and his love for performing live. Each EP will be a fusion of these experiences, and also include Chali’s trademark spitfire rhymes. A trailer for Against The Current, featuring snippets from the project’s first single and title-track, has been released today, and can be viewed here. Fans can catch a preview of Against The Current this winter as Chali will be hitting the road for a nationwide tour (full routing below). Kicking off February 9th in Oakland, CA, the tour will encompass nearly 30 dates before wrapping in Austin, TX for a series of showcases at this years’ SXSW Music and Film Conference. More details on Against The Current will be revealed in the coming weeks! February 20, 2012 Whistler, BC Garibaldi Lift Co.
March 16 & 17, 2012 Austin, TX SXSW *Shows to be announced soon! 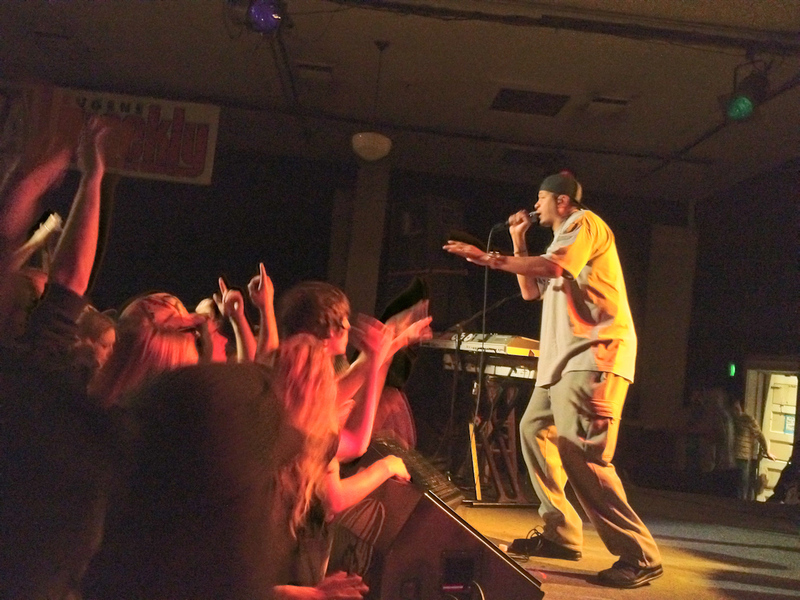 Be sure to visit www.Chali2na.com/shows for the latest additions! New music from a rap master. Sign me up. I won’t be hitting his tour this time, but I caught him at WOW Hall in Eugene last fall (where the photo at the top of this post was from)… knock out great show!